Important Updates & News Sent Weekly to your inbox. Contact Amanda Richards, arichards@mainedo.org to sign up now! News to Use: It's National Osteopathic Medicine Week! : 6 DOs to Know, AOA News: Submit Your Nominations for 2019-20 AOA Bureaus, Councils & Committees plus ACGME OPP Committee, & OMED Registration is now open. Practice Management: Anthem Announces new Modifier 25 Policy, Updates from MaineCare, CMS. We work to support and celebrate osteopathic physicians in Maine this week and all year long. We thank our members for all that they DO to support the wellness of the people of Maine. Stay in touch with us! Follow us on Facebook, Twitter and Instagram. Each year, The Maine Osteopathic Association recognizes physicians for their service and commitment to the osteopathic profession at the Annual Convention Awards Luncheon. This year's Awards Luncheon will take place on Saturday, June 8th during the 108th Annual Convention held at the Samoset Resort in Rockport, Maine. We hope that you will be able to join us to celebrate DOs making a difference in Maine. Please take a moment to recognize an osteopathic physician that has made an impact in Maine. We will be accepting nominations until May 1st, 2019. Please click here to complete the online nomination form. To view a list of past recipients, please click here. Please Join Us for the MOA's 108th Annual Convention! Charles Radis, DO-- author of "Go By Boat"
About the book "Go By Boat": Fresh out of training, Dr. Chuck Radis convinces his wife, Sandi, to move to Peaks Island to fulfill a Public Health scholarship obligation. Absent-minded and initially oblivious to island mores, Dr. Radis slowly adapts to a medical practice where x-rays and advanced laboratory testing are available only on the mainland. When he travels to the outer islands of Casco Bay for house calls, he relies on his physical examination skills and a Bass-Master tackle box filled with emergency medications to successfully manage his patients. Read the first chapter of his book here! Plus: Don't forget to Reserve your tickets for the Opening Reception/Lobster Dinner! Call the MOA at 207-623-1101 to purchase your tickets! Did you book your hotel room? The room block is OPEN! Or book online with group code "MOA2019"
1. Open your web browser and enter "https://docme.inreachce.com" or click here. 2. Choose from on demand AOA 1-A credits or Live Stream events from other osteopathic state societies like the MOA! Prices average about $40 per credit hour. Over 150 Osteopathic Programs Available Online, (including 1-A Credits & Specialty Credit) On-Demand: Click Here! MOA/ME ACOFP Celebrated NOM Week by hosting a mixer following NEOMEN/OPTI event in Lewiston on April 17th at The Pub at Baxter Brewing Co. Residents, students and practicing family medicine physicians came together to share their experiences and let off some steam. Thank you to all who joined us! The Committee of Education & Cultural Affairs voted on April 10, 2019 to a divided report. Please reach out to your Senators & Representatives and urge them to support this bill. Read the MOA's testimony on the bill here. Only Have 2 Minutes to Support Immunizations in Our Schools? "I am _______, I live in _____, Maine and I calling to express my support for LD798." Please take 2 minutes & make 2 calls. Thank you! Want to know more? Here's an update on all of the bills the MOA has provided testimony on so far in 2019 (As of the beginning of April). The Legislative Committee has reviewed more than 80 bills and provided written testimony on 27. The MOA Legislative Committee is chaired by David Scaccia, D.O. and will hold weekly calls when the legislature is in session on Wednesday nights at 7:30 p.m. If you have an interest in joining this call or committee, please email Amanda Richards at arichards@mainedo.org. “While this report shows improvement, the number of people we lost to this crisis last year is still alarming,” said Gordon Smith, Governor Mills’ Director of Opioid Response. “We will continue to harness the collective power of state government and community partners to strengthen prevention and recovery efforts and ensure that we leave no stone unturned as we combat this scourge." Every April, the osteopathic family comes together to raise awareness of the profession and recognize DOs making a difference during National Osteopathic Medicine Week. Osteopathic researchers are making significant contributions to medicine, health care and other fields. In honor of NOM Week, April 14-20, The DO is shining a spotlight on six of these physicians and students. As the lead researcher of a 2017 study in The Journal of the American Osteopathic Association, Dr. Yorks found that that working out in a group lowers stress by 26% and significantly improves mental, physical and emotional quality of life. By documenting the impact of dance on the body, these DOs are identifying how professional dancers can prevent injuries, with the hope that their work will help lengthen dancers’ careers. Souferi’s study on the regeneration and implantation of new cone cells, the primary photoreceptors that impact vision acuity and color, won a first-place award from the American Medical Association. In the JAOA, Katherine Galluzzi, DO, a gerontologist at Philadelphia College of Osteopathic Medicine, used research to back up policy and clinical recommendations that she says would reduce the risk of gun violence in people suffering from dementia. Dr. Licciardone, executive director of the University of North Texas Health Science Center’s Osteopathic Research Center and the Richards-Cohen Distinguished Chair in clinical research, is analyzing the DNA of low back pain sufferers with the goal of uncovering which patients are most likely to respond to specific drugs. Drinking a beer after a tough workout might seem like a reward but it's more than that. 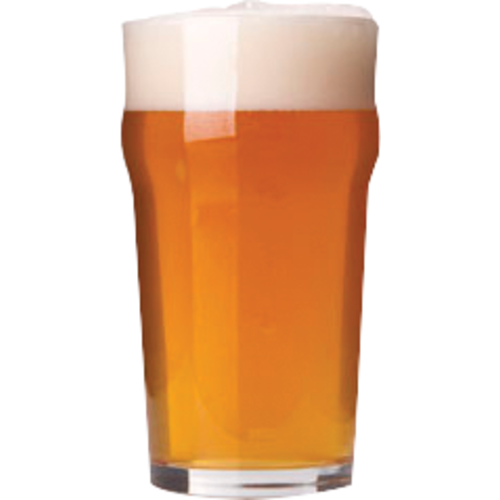 A regular beer contains fewer carbs than a sports drink and helps restore glycogen levels after exercising, explains Naresh Rao, DO, a sports medicine physician. As a second-generation DO, and an osteopathic family physician who has been practicing for almost 40 years, I can tell you that we do not need to rethink our position in medicine as others have recently suggested. Instead, we need to reinforce that the osteopathic philosophy, which A.T. Still, MD, DO, created during a time of turmoil in medicine, was not simply osteopathic manipulative treatment added on to holistic medicine. It was an entirely new way of thinking and treating the patient. The AOA is accepting applications and nominations for open leadership positions on its 2019-20 bureaus, councils, and committees (B/C/C). AOA President-elect, Ronald R. Burns, DO, strongly encourages members of the osteopathic professional community and AOA affiliated groups to submit an online application and/or nominate a qualified colleague to volunteer to serve on an AOA B/C/C. Applications and nominations will be accepted through Monday, May 20, 2019. Please email your questions to nominations@osteopathic.org with the subject line, "Query". OMED 19 Registration and Housing Now Open! Register by May 12 to take advantage of the lowest pricing opportunities for OMED 19. This year, the premier osteopathic education conference will take place Friday-Monday Oct. 25-28 in Baltimore. Due to the meeting schedule, attendees should plan on arriving Thursday, Oct. 24 and leaving after 6 p.m. ET on Monday, Oct. 28. Register Here! Read more about the criteria for selection and desired qualifications. Send completed application forms and full curriculum vitae for each nominee to Jim Swartwout by June 1, 2019. Applying CME credits earned in the current CME cycle (2019-2021) toward the previous AOA CME requirement. To select this option, please complete this form and return it to the CRC via email. Any credit applied to the previous CME cycle cannot be applied to the current CME cycle. ​Please send questions via email to certification@osteopathic.org. While the Legislature’s Education and Cultural Affairs Committee are divided on a bill to eliminate non-medical exemptions, the reason for the bill becomes even more apparent: the rate of nonmedical exemptions in schoolchildren rose last year from 5.0% to 5.6%, and the rate of kindergarten children immunized against measles, mumps, and rubella fell from 94.3% to 93.8%. The national rate of nonmedical exemptions was 2%. Immunization of kindergartners in five counties were below the 95% level generally considered to be necessary to confer “herd”, or community, immunity. You can read more in the Bangor Daily News article, here. Meanwhile, the Maine Center for Disease Control and Prevention reported 136 cases of pertussis in Maine through March 2019, more than double the 59 cases reported in the same period in 2018. Maine’s total of 446 cases in 2018 was the highest per capita rate in the nation, at 33.16 per 100,000, compared to the national average of 4.13 cases per 100,000. For more information on the pertussis rates in Maine, see the Central Maine newspapers article, here. Employer-Sponsored Coverage Is Worse Than ACA For Low-income Families, Data Indicate. The AOA is concerned that this policy could cast a wider net than Anthem intends by penalizing physicians who are not billing “a duplicate E/M service on the same day as a procedure” as stated in the policy. Also, the policy language is ambiguous as Anthem does not define “recent” or “similar” when referring to a procedure or diagnosis, respectively. AOA is working to have this policy reversed and is seeking clarification from Anthem regarding the policy language. To view the communication sent by Anthem, please click here. April 10, 2019, Office of MaineCare Services: This message is to clarify that a member’s start date under MaineCare expansion depends on when the member applies. Members eligible under MaineCare expansion do not automatically have a start date of July 2, 2018. Applicants under MaineCare expansion are subject to the same eligibility rules that apply to all applicants: an eligible member’s start date is the first day of the month during which they submit their application, unless the member requests and is granted retroactive coverage for up to three months prior to the application. See MaineCare Eligibility Manual 10-144 C.M.R. Ch. 332, Part 3, Section 13.4 for more detail. Because MaineCare expansion was not available prior to July 2, 2018, MaineCare members eligible through the expansion cannot have MaineCare coverage retroactive to any date prior to July 2, 2018. Please see the MaineCare Eligibility Manual, 10-144 C.M.R.Ch. 332, Part 3, Section 2.4 for more information. Please ensure you look up a member’s eligibility prior to providing services on the Health PAS Online Portal. Please see theMaineCare Benefits Manual, Chapter I, Section 1. If you are seeking reimbursement for a service that was provided before the member received retroactive eligibility and for which MaineCare requires a PA, you must submit a PA request for review. You must indicate on the PA request that the member has received retroactive eligibility status. In order to receive approval, the service provided must meet the medical necessity requirements. If a service that was provided before the member received retroactive eligibility does not require a PA, you may simply submit claims for retroactive reimbursement. Please contact Shannon Beggs, Provider Relations Specialist, with questions at (207) 624-4012. Your browser may need an update to remain compatible with the MIHMS Health PAS Online Portal after the portal is upgraded during the week of May 10, 2019. If you have questions about the portal upgrade, please contact Provider Services at: 1-866-690-5585. In CMS’s ninth issue of the Patients over Paperwork newsletter, we’re updating you on our ongoing work to reduce administrative burden and improve the customer experience for hospitals. Patient safety cannot be assured without addressing the negative effects of low health literacy and ineffective communications on patient care. Improving health literacy is an important factor in engaging patients in preventive care, improving adherence to medication regimens and treatment plan instructions, improving the patient’s ability to self-manage their healthcare and reducing the incidence of communication related errors and poor outcomes. Patients may mask their health literacy level from their care providers. Assess the literacy levels and language needs represented by the patients/community served. Train staff to recognize and respond appropriately to patients with literacy and language needs. Use well trained medical interpreters for patients with low English proficiency. Adopt the universal precautions approach to health literacy. Make clear communications and plain language the standard for all patient communication. Provide a comfortable atmosphere/environment. Do not appear hurried or distracted. Speak slowly and clearly, loudly if indicated. Make good eye contact. Assess the patient’s ability to self manage their own health care. Assure the patient understands when to seek health care and recognizes the need to pursue preventive health strategies. Ask open-ended questions about their health history and clinical symptoms. Encourage patient to ask questions. Provide patient discharge and other instructions in written and verbal language the patient understands. Provide the patient with a medication list, information about medications, diagnosis, results of procedures and laboratory tests and plans for follow-up care. Verify patient understanding. Visuals: Draw pictures, use three dimensional aids, media. Print materials: Large print, fifth or lower grade level, key points. Teach back: Ask the patient to repeat back or teach back to the clinician the clinical information or instructions discussed. Show back: Ask the patient to show back to the clinician the patient care process reviewed. Telephone: Have patient repeat back their understanding of telephone instructions, test results or patient follow-up appointments/studies. Ask me three questions: Ask the patient to answer three key questions from the patient encounter. Note: All levels of patients have difficulty with multi-step instructions. Design the informed consent process to include forms written in simple sentences and in the language of the patient; use teach back during the informed consent discussion; and engage the patient in a dialogue about the nature and scope of the procedure. Reduce the barriers for low health literacy patients entering the health care system. References may be found by accessing the complete practice tip at www.medicalmutual.com. Medical Mutual's "Practice Tips" are offered as reference information only and are not intended to establish practice standards or serve as legal advice. MMIC recommends you obtain a legal opinion from a qualified attorney for any specific application to your practice. Earn Your CME Credits Online, On Your Time & from Anywhere! Upcoming QC Caring for ME Webinars- Earn the 3 hours of CME you need for BOLIM! 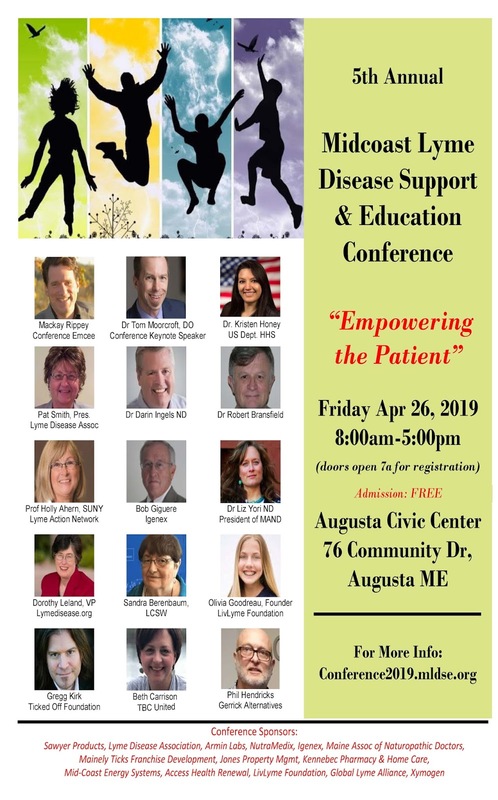 The Maine AAP will be offering one day Saturday sessions in several regions of Maine, providing training and coaching to Pediatricians and Pediatric Specialists in SBIRT (Screening, Brief Intervention and Referral to Treatment) and effective conversational skills in Motivational Interviewing. Plan to join us for the session in your region. "Balancing Pain Management With The Opioid Crisis: Are We Making Progress?" Prolotherapy is an injection therapy for musculoskeletal conditions including knee osteoarthritis, chronic back conditions, ligamentous laxity, and tendinopathies. In a time of soaring rates of chronic pain, few proven treatment options and a nationwide opioid epidemic, prolotherapy can be an effective option for pain management. The Hackett Hemwall Patterson Foundation (HHPF) has 50 years of experience teaching prolotherapy. We are proud to partner with Pain School International to offer this unique experience for MDs and DOs at Semmelweis University and the Verdi Grand Hotel in Budapest. Learn and Develop with Experts. Full conference: EUR 1990 (~$2,250) until Feb 28; EUR 2100 (~$2,370) after March 1. Register now for the 2019 Direct Primary Care Summit! Whether you’re new to DPC or ready to take your practice to the next level, you can be a part of an exciting, growing movement that’s revolutionizing patient care. Special offer: Register by May 31 to save $200. At this year’s summit, you’ll have the opportunity to network with like-minded physicians and thought leaders, access exhibitors who specialize in DPC, and attend courses on a range of topics, from how to adopt the DPC model to how employers are working with DPC practicesnationwide. Need a Change of Scenery? Find Osteopathic CME Live Programs All Over the US! Maine Maritime Academy is looking for a physician for its annual training cruise this summer. Cruise dates are May 5, 2019 to July 15, 2019. There is an option for two shorter cruises with the swap from Cruise A to Cruise B occurring in Portsmouth, UK on or around June 9. Other potential stops include Vigo and Barcelona, Spain; Tallinn, Estonia; and Oslo, Norway. Compensation is $225/day. Please visit https://mainemaritime.edu/employment-at-mma/ or contact Mikaela Wentworth at 207-326-2645 for additional details. EOE. Situated on the Maine coast, Portland offers the best of urban sophistication combined with small-town friendliness. Just two hours north of Boston, this is an exceptionally diverse and vibrant community. PCHC in need of Pediatrician for Brand New Pediatric Center! Penobscot Community Health Care is seeking a Pediatrician in our Penobscot Pediatrics in Bangor. Become a part of the legendary Penobscot Pediatrics, at our new location set to open fall of 2019. Penobscot Peds has been a staple amongst the Bangor community for over 30 years! We are the largest and most comprehensive FQHC in Maine and the 2nd largest in New England. Seaport and Penobscot Pediatrics are both NHSC loan repayment eligible sites! PCHC offers loan repayment to those that are not awarded or eligible for NHSC. Competitive benefits package, 403(b) retirement, signing and retention bonuses, relocation assistance and more! Questions? Contact Vanessa Sanderson, PCHC Recruiter at (207)404-8015 or at recruitment@pchc.com.